Unless they are blessed with an encyclopedic knowledge of the subject, most people who go antiquing will come across items that are strange or unfamiliar. Some of these items might be valuable, others not. So how to tell the difference? There are several factors that can increase the value of an antique -- rarity, age, craftsmanship, usefulness, a maker's mark, or intrinsically valuable materials such as precious metals. By bearing such factors in mind, your own powers of observation can lead you to overlooked treasures. Look for handmade items. Some ceramics are hand-potted or hand-painted; an engraved or painted signature is an indicator of this. Keep an eye out for decorative objects fashioned out of stone or wood, as these materials are usually worked by hand individually. An item that has been painstakingly crafted is more likely to be a rare collectible than one produced by machines in a factory. Check for age by looking for a credible pattern of wear, such as scuffs to the base, changes in patina caused by handling, polishing and exposure to light and air, or dust trapped in hard-to-clean crannies. Age alone does not guarantee value, but it can be an indicator of rarity. Weigh the item in your hands to see how heavy it is. In most cases, a good weight is a sign of dense, high-quality materials. Inspect the item to see if it is well-made. Look at individual design elements, seams, and edges for signs of a clean finish and sturdy construction, just as you would with a car or an appliance. Quality usually equals money. Ask yourself how well the item could fit in with modern living. Antiques that still have a viable purpose, such as photo frames and desk calendars, can command a premium price. 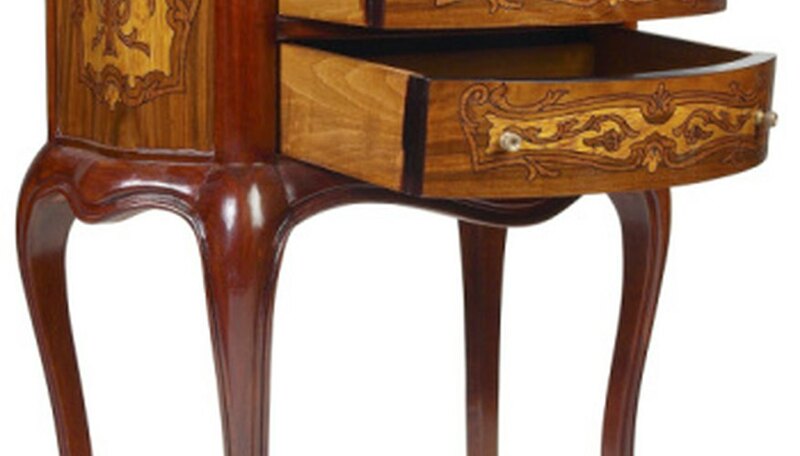 Examine the piece for a maker's name that you could research later. If the piece carries a dated, handwritten signature, this is good, even if it's not a name you recognize, because it is a sign that the maker himself valued the piece.